Eldorado Gold holds four additional mining perimeters in the close vicinity of Certej mining project: Băiţa-Crăciuneşti, Certej Nord, Troiţa Piţiguş and Mireş. From a topographic point of view all these perimeters are perfectly adjacent, as shown by the perimeters’ map, and their cumulated surfaces of 4,865 hectares is two times larger than the Roşia Montană lease, totalling 2,388 hectares. Nevertheless no cumulative environmental impact assessment has been performed for all the exploitation stages mentioned above, this although the Ministry of Environment was notified about on this requirement. the Court of Justice at Cluj-Napoca admitted the claim formulated by the Mining Watch Romania network which requested the suspension of works until an irrevocable judgement is passed on the cancellation of the construction permit. This permit was issued by the local town hall to enable Eldorado Gold to develop the site management works for building both tailings dams of the first cyanide-based mine located in Transylvania. Almost one week after the sentence, works are still ongoing. In consequence Mining Watch received several complaints by local inhabitants. 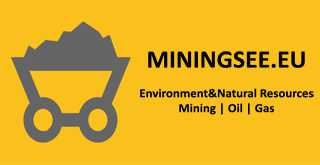 Moreover, Deva Gold holds no valid permit to work with heavy machinery in the perimeter of the old open pit called Coranda. In these circumstances the State Inspectorate for Construction has been notified in order to stop the works and sanction Deva Gold. It is the second time when the relevant inspection authorities are requested to intervene and force Deva Gold to stop illegal works. In autumn 2014 Deva Gold was obliged to stop their machinery after citizens insisted that the country’s Inspectorate for Construction must perform inspections and order the cessation of works. However shortly afterwards the local town hall issued the permit that has just been suspended in court. “Many local people informed us that site works have not stopped. They are disturbed by noise and dust, but mostly by the company’s defiance in observing the law. If this company is not able to comply with a court sentence, how can it be expected that it will comply with the standards on using cyanide or workers’ safety? The project provides the construction of a 170m high dam which will have to resist for hundreds of years, how can we trust them in these circumstances?” comments Alina Banu.